Here’s another one from Sports Illustrated. It always feels kind of weird when you find a random pre-trial photo of O.J. Simpson. It’s even weirder when he’s standing next to Bo Jackson. 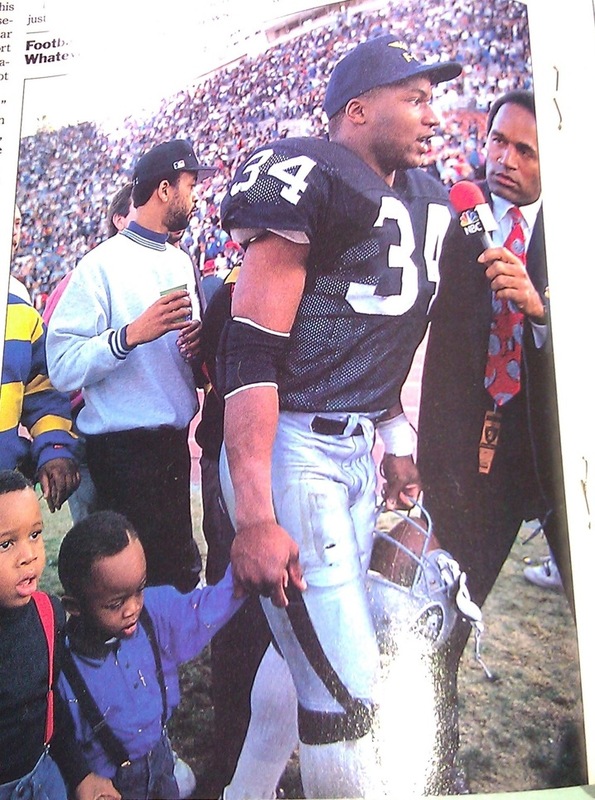 Even weirder it was Bo Jackson’s last NFL game. Am I wrong or is that the game of “THE injury”? 1. The suspenders on the kids are awesome, so is the hair part. Is that Ice Cube in the background? Cube would have had a jerry curl at that time.